Android ListView is a view group that displays several items in vertical scrollable list and it helps you to display repeating data in the form of scrollable list. ListView is widely used in android applications. 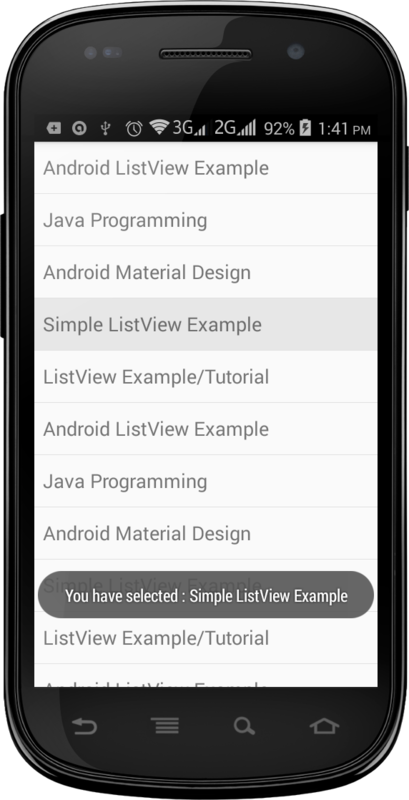 In this simple android ListView tutorial, you will learn to display several items in vertical scrollable list and also learn to display toast message when list items clicked. Now, run your simple list view application and scroll the screen which will look like output given below.